A huge thank you to all the UK and overseas schools and teachers who took part in the #SchoolsSitTogether event on Wednesday 6th February – and throughout the rest of the week. We were delighted with the response and fantastic photos, it really emphasised the mindful community feel and it was a great way for us all to support Childrens Mental Health Week. Overall we heard from over 120 schools across the country – and the world – who joined in with the sit. By our (rough) calculations this means that more than 6,000 teachers and students sat together! We had a lot of fun and we hope to do it again – keep watching our Facebook and Twitter feeds and our emails for details of the next one! In the meantime, remember to post your pictures and comments. If you search on Twitter using the #SchoolsSitTogether hashtag (or click here) you will see many of the photos and comments. 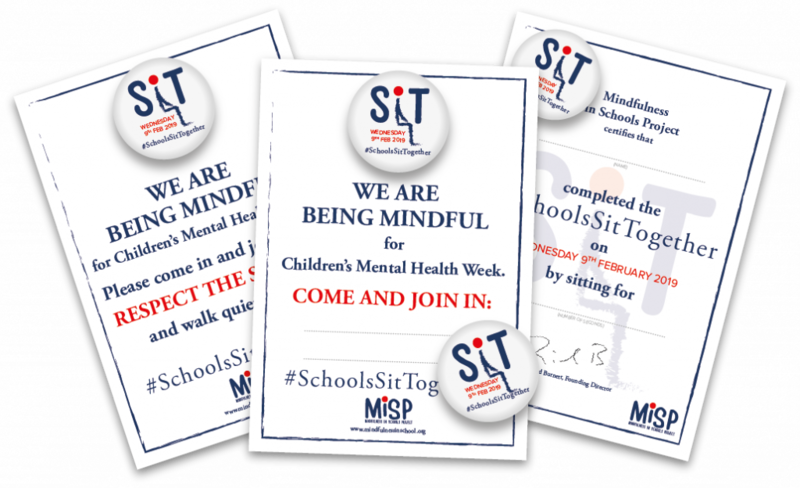 If you haven’t already – download your participation certificate below, and if you enjoyed the sense of community and would like to support our work in bringing mindfulness to schools – why not join us at our 2019 Conference in April? Click here to find out more.